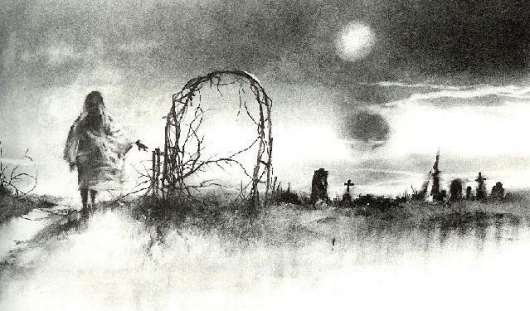 If you lost countless nights of sleep growing up thanks to the Scary Stories to Tell in the Dark books written by Alvin Schwartz, you know just how crucial the artwork by Stephen Gammell was in planting the seeds deep in your psyche that would later grow into terrible nightmares. You’re also probably aware that the books were re-released a handful of years ago, complete with brand new, far less haunting artwork. This did not go over well. Fans were clearly outraged. And, as it turns out, that intense disapproval had an impact. The publisher of the books, Harper Collins, has re-released the books yet again, but this time they have Gammell’s original artwork restored. 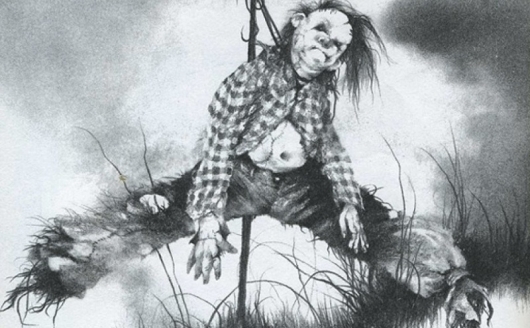 We first heard about a movie based on Alvin Schwartz‘s Scary Stories to Tell in the Dark horror book series back in 2013, with Saw writers Patrick Melton and Marcus Dunstan working on the project. We then heard in 2014 that John August, a writer on Tim Burton’s Big Fish, Corpse Bride, Charlie and the Chocolate Factory, Dark Shadows, and Frankenweenie, was hired to work on the script. If you grew up reading the books, you know how awesome the movie (or movies) could be if done right. 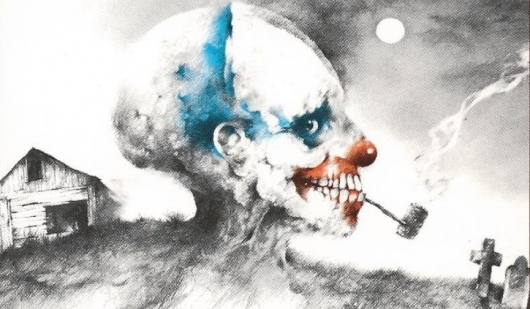 Especially if you read the books with the unforgettable nightmare fuel illustrations of artist Stephen Gammell before new illustrations were used for the 30th anniversary editions released in 2011. Now the project gets even more exciting. It’s being reported that Guillermo del Toro, the visionary director behind The Devil’s Backbone, Pan’s Labyrinth, Pacific Rim, Hellboy, Blade II, Crimson Peak, and more has jumped on board to develop the movie with a possibility of even directing it himself.